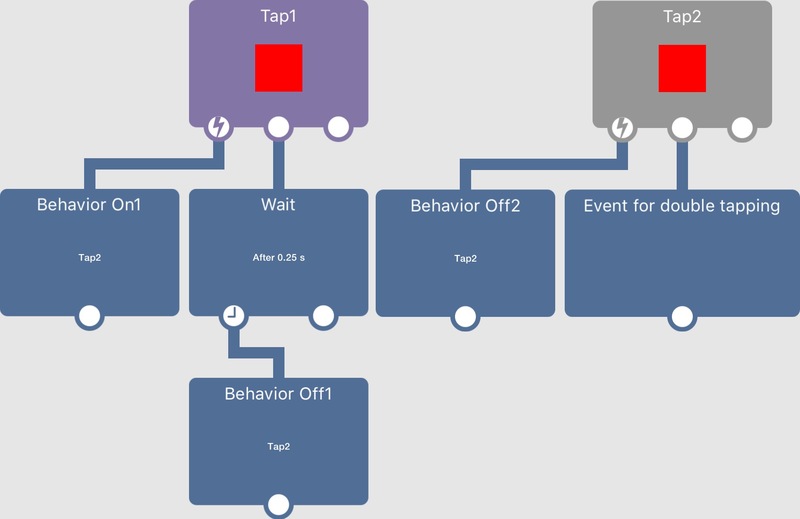 Started touching>behavior on "started touching1">behavior on "wait"
Note that the time period to double tap can be changed by changing the 0.25 seconds of the wait to something else. @DGames135 one small mistake I made, the "behaviour off5" wasn't necessarily supposed to be in the double tap event bundle. It doesn't affect it, but I meant to put it directly connected to "Tap2". @DGames135 are you still having problems or does this work for you? If you're happy with the response, can you mark it as solved?